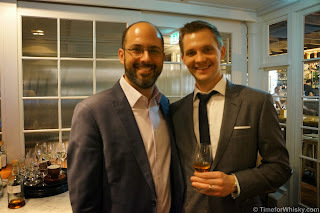 As mentioned a few weeks ago, Steph and I were fortunate enough to attend a brilliantly fun dinner with Dr Sam Simmons (aka Dr Whisky), The Balvenie's global brand ambassador. Despite a jam-packed schedule (and no doubt some horrible jetlag), Sam, a genuinely nice bloke, was kind enough to sit down for an interview, and answer some further follow-up questions via e-mail. Favourite part of your (short) visit in Sydney? I wish I could have stayed longer as I had a great, if incredibly busy, time and barely scratched the surface of this great city. Memorable moment was playing AC/DC pinball with a slice of pizza and a Monkey Shoulder and ginger ale at Frankie's. You've had a variety of whisky roles, but was an ambassadorial role always the plan/aspiration? I had no idea such a job existed (talking about whisky for a living? SERIOUSLY?) so when a few opportunities presented themselves in 2008 I was a good mix of excited and terrified. 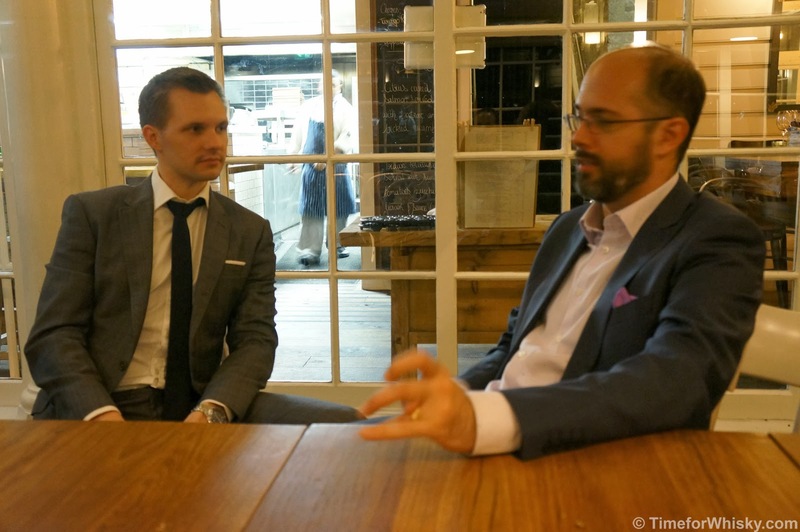 Everyone who gets into whisky becomes an ambassador and I suppose I have been an ambassador from the beginning: sharing drams with folks, reading about the stuff, telling others about some new great whisky I tried or distillery I visited, hosting tastings, etc. Do something love (or something you'd do anyway) and you'll never work a day in your life, right? In your experience are there any differences in how whisky drinkers differ in how they enjoy their whisky between UK, Canada and Australia? Ah, the empire, the pink parts of the map. In Canada, most provinces strictly control the sale of alcohol and in Australia taxation keeps malt out of reach for many, so there is a parallel there in that there is an unfortunate economic barrier for most discerning drinkers. In Scotland, it was easy to experiment and try new whiskies, all my favourite pubs would have a malt of the week or malt of the month for about £2 so it was easily accessible and actually consumed by the patrons of the bar male/female/old/young, not just the tweeded elderly men. In all three of these countries there is a respect for Scotch whisky, often by some connection through family ties to Scotland, but we've been fortunate in these countries to have whisky for decades. Because of this there are plenty of inherited stereotypes, rules and myths but the blooming local malt distilling movements are, I think, shaking these shackles off and allowing whisky to be enjoyed by whoever, however and wherever we damn well please. DoubleWood 12yo has always been a favourite, in any mood, long before I worked with the distillery. The whiskies I tend to empty (and replace) at home include DoubleWood, Johnnie Walker Black, Lagavulin 16, Aberlour A'bunadh and Compass Box Spice Tree. What's one whisky that has really surprised you - either in a good way or bad? Bain's from South Africa. Grain whisky that is as clean and fresh as it is complex and balanced. Lovely stuff. While in Oz, I really liked Starward (Victoria, Aus) and Overeem Port cask (Old Hobart's Distillery, Tasmania) and didn't necessarily expect to. NAS is just finding its legs and I think we'll see more next year before whisky companies can really assess whether the whisky consumer will continue to buy whiskies without age statements. The independent bottler has a tough future, I think, so while I don't think we'll see a boom in more bottlers, distilleries will become more experimental in their releases to satisfy this thirst. So while The Balvenie is still the only distillery that has a core range of single casks, I think we'll see more and more proprietary limited or single cask offerings. I think "new world" whiskies have great momentum right now, and you could really sense that when I was in Australia. Bars stocked local whisky and a lot of the stuff I tried was actually very good. I don't think it can replace Scotch whisky in the throats of the world but there is plenty of room for the new and unusual dram from down under, the great white north, the land of the rising sun, or Vikingland on the bars of the whisky enthusiast. Another huge thanks to Sam for giving up his time to answer our questions, and entertain us during his time in Australia. Sláinte!